Cartoon – climate change refugees. 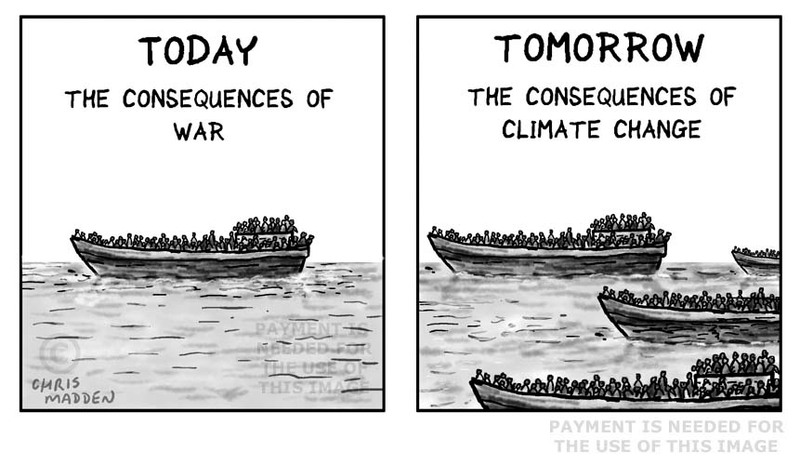 The cartoon shows the possible increase in mass migration that may be caused by global warming and climate change. The cartoon compares the current (2015) crisis of mass migration to Europe caused by political instability in the middle east with the possible crisis of mass migration that may occur due to climate change. A cartoon about mass migration, climate change refugees, impact of global warming.